In the twin interest of recovery from illness and procrastination from an assignment, I re-watched some favourite movies. I also watched a few for the first time. So it is that I have at last seen The Terminator, about which I have nothing to say other than how did it become a franchise and I need to rinse out my mind’s eye. Re-watching Die Hard was a better experience, not only because it actually has a script, but because it marks the point in history at which the f-word was proved to be validly utterable in certain circumstances, such as when unwillingly finding oneself the sole hope of a group of hostages on Christmas Eve while having no shoes. On the other hand, it was terribly dispiriting to hear the hero ask, “How’re you doin’?” and to realise that my spiritual director actually, in all seriousness, took action heroes for his role models, as a grown man. (Batman is a post for another day). The best experience was the Bournes. While the Bond films are hilarious and rollickingly splendid, they don’t actually change the way one views the world. The Bourne films, however, do. It’s impossible to watch them without looking for street cameras the next time you leave the house. Don’t you just feel thrillingly challenged to respond to all the CIA violations of your privacy by disappearing entirely off the grid, only to re-emerge years later, able to bring them down by methods as simple as sneaking a pre-paid phone into your contact’s pocket? I will admit to only wondering this time round how Jason Bourne stayed clean-shaven throughout – especially when a beard might have been a disguise. Midway through Supremacy I realised that without the background music, the movie was basically just Matt Damon walking purposefully from one side of the set to the other, interspersed with scenes in which people say, “Mobilise the asset” and “Get me all the cameras.” At the same time, the poor female sidekick in Identity is probably the only such character in film history who gets to be – however briefly – as traumatised as an onlooker to multiple murders would be in real life. On a happier note, what scene was ever as moving as Bourne’s gift of closure to the Neski girl? And what fight scene has ever bested the combat in Ultimatum? 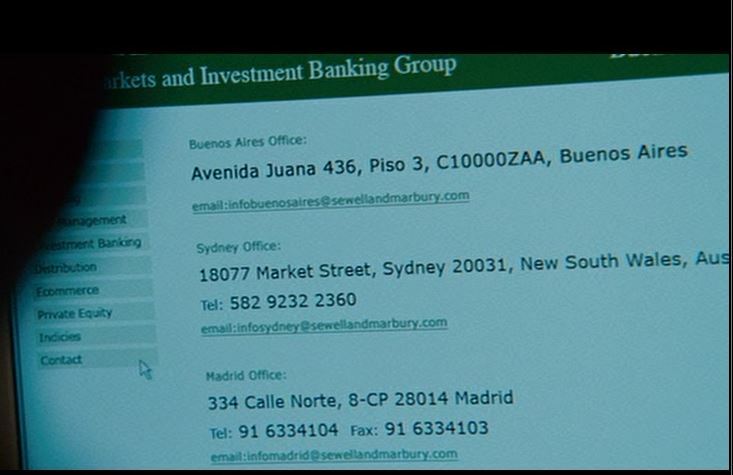 There’s even a fleeting fake Sydney address for one of the evil corporations! I remembered the first time I watched the trilogy with a friend (before Jason Bourne had been released.) We thought there was room for a fourth film, which should be called The Bourne Confession. See, by the end of the series, we’re shown that the former David Webb was Catholic. He’s also now haunted by the memory of his actions as an agent. What is more natural than that he should go to confession? And what’s more natural than that the confessional should have been bugged by anti-pro-lifers who were just hoping to catch a nefarious pro-life plot and instead heard a former agent tell the priest everything? And what’s more natural than that they should give this recording to the CIA, who promptly dispatch a series of hitmen to do away with the priest? Adventure ensues! Because, of course, the priest is a former marine/athlete/firefighter/somebody with a history of running, jumping, and getting out of tight spots, and so he doesn’t die as immediately as the CIA would like him to.